The Red dune safari is the most amazing and thrilling safari one can experience. Sitting in the Land Cruiser, one can sweep around the Arabian Desert to get the view of the spell-bounding landscape. Ride over the red dune and discover a lot of things that are worth enjoying. The tour begins with the adrenaline pumping dune bashing and continues to the Bedouin style campsite. Here you can smoke, enjoy the BBQ and get entertained with the Arabian music. This is the best Dubai desert safari offered and shouldn’t be missed. How about experiencing the night in Dubai desert and enjoying its charm? 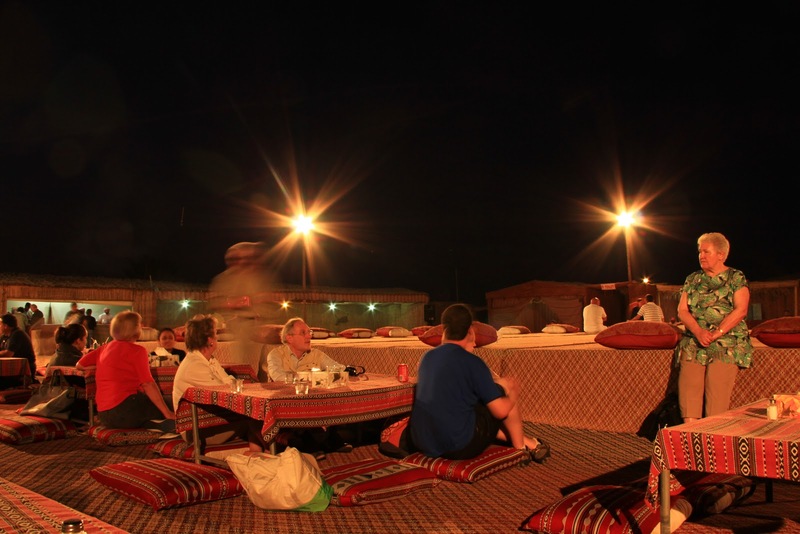 The sounds of the Arabian Desert night under the mesmerizing stars couldn’t be more magical. In the overnight safari, you can enjoy the amazing belly dance show showcasing the real highlight of the safari trip. The desert safari in Dubai with superb accommodation and breakfast facilities is an experience to have. You’ll enjoy the luxury hospitality offered along with magical delicacies served. The chilling air and quite environment around give a real peace of mind. The desert safari tour is done in exclusive SUV cars like the Hummer and Land Cruiser. These cars are perfect to enjoy dune bashing adventure that offers a comfortable and thrilling experience. Once you reach the desert area, you’ll see the caravan of SUV vehicles ready to drive up and down the sand dunes. These SUVs are well maintained and equipped with safety gears to make you comfortable. However, if you’re carrying any health problem and have crossed a certain age, then this ride is not for you. Desert safari tour operators ensure that the tourists get the best experience of a safari while sitting in the Hummer. The bashing of sand dunes cannot be more luxury than doing it in this exclusive car. If you want to explore the raw side of Dubai in comfort, then the Hummer desert safari is perfect to go for. The expedition also grants escapade from the busy and the hustle bustle lifestyle of Dubai. This Dubai desert safari comes with different packages which you can choose from. The Dubai desert safari tour of 6 hours includes different activities. 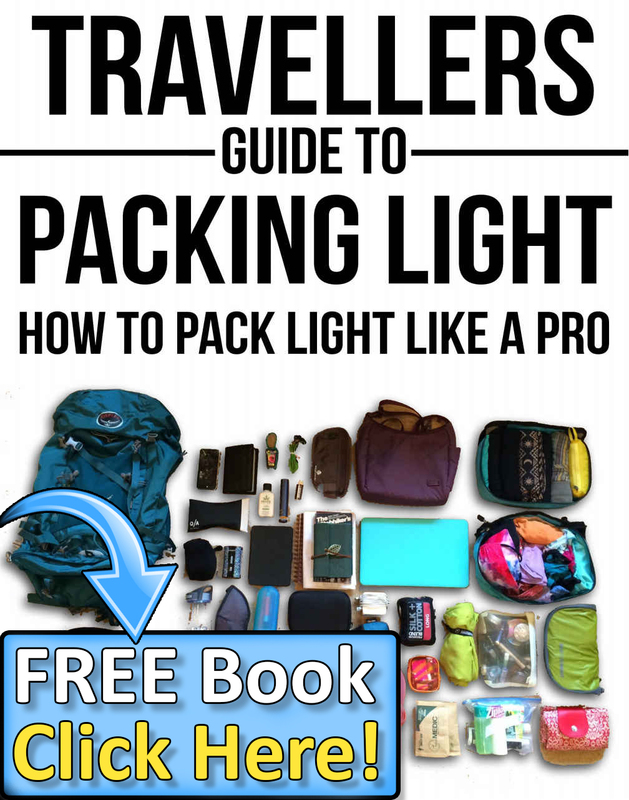 It includes- pick-up from the stay, dune bashing in a 4×4 vehicle, sunset photography, sand boarding, quad biking, camel riding, shisha smoking, refreshments, entertainment and drop back to the stay. However, there are extra charges for Quad biking, sand dunning and camel riding, the price for which you can check with the operator. Dessert safari is not only about sand bashing and camel riding, but also of extreme adventure. Sand boarding and quad biking are the major reasons why tourists love it. Both these unique activities are offered by the operators only after instructions and safety gears. Each thrilling 30 minutes activity will take you to the expansive sands across the desert. The sand boarding activity is like testing your skills of balance in the desert. If you’ve done any of these activities before, then it won’t be much difficult in performing. The Dubai desert safari tours are designed to give real thrill and experience the other side of the city. Be captivated by the desert magic and let your body, mind and soul get lost amid into the activities. Do check the packages offered for these activities, and you can customize them as per your requirement. 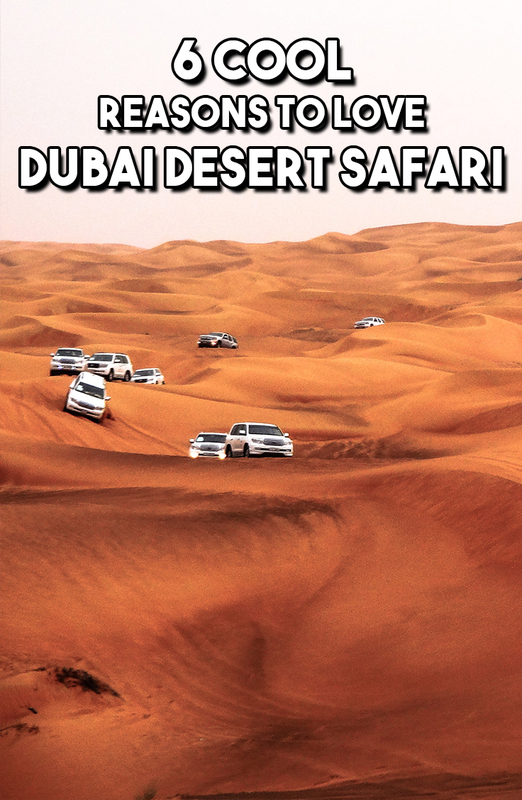 The desert safari is a complete Dubai tour experience that can stay in your memories for long years. 5 Comments on "6 Cool Reasons To Love Dubai Desert Safari"
Loved the OVERNIGHT SAFARI EXPERIENCE. It was awesome. The sunset in the desert was also a wonderful sight. wow really enjoyable to drive in desert safari in dubai.